To begin the 2019 NYSC Batch B online registration, you need to get ready the below details for a successful NYSC Batch B online registration 2019. NYSC Batch B 2019 registration starts after Batch A 2019 Registrations. This is to enable all PCMs (Prospective Corps Members) who were affected by strike and was stopped from doing clearance and rounding off to finish up and be mobilized for Batch B. There is no fixed date yet for Batch B 2019 mobilization or online registration but subsequently it would be fixed to enable PCMs prepare themselves. Anyway the proposed date for NYSC Batch B online registration is June, 2019. There is no official Timetable yet for NYSC B 2019 but soon it would be released. 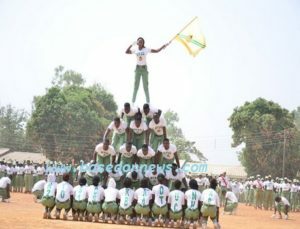 As soon as the timetable for NYSC Batch B comes out, the orientation camp date would be released. LIKE our Facebook NYSC information page for direct updates. I need more details on batch B since I have not been cleared due to the strike. I graduated in 2018 from oau almost all my set have gone for service but up till now I have not been mobilized for nysc and each time I complain to the school they usually say I don’t have problem. Even I have collected SOR and nothing wrong. Pls what can I do so as be mobilized in the next batch. Confirm if you do not have JAMB issue. Is your name on the matriculation list released by JAMB? If yes, write the Senate through the DSA, though DSA would still be the one to help you take up the issue. They might have you fill out a form in their office and send to NYSC alongside the others who are relatively affected. Has it been confirmed that there is Stream II? Last i heard from Abuja, there would not be Stream II for this batch. Please how do I go about revalidating? I was mobilized last year but I didn’t go and I want to register this year for batch B.
I tried to join the WhatsApp group but it appears I can’t because it’s already full.. so do you guys have a Facebook page or group so that I can join that instead? Suppose to say there is NYSC 2019 BATCH A STREAM II..since strike has hijack everything and delay majority of of from been mobilozed by our respective universities,polytechnies and colleges. plssss wat can I do??? Hello good day, pls i was posted to Taraba batch A but couldn’t make it to camp.can i still go for batch B, What should i do ? Pls I want clarification on age issue. My date of birth is 16/05/1989, I’ve done with my final exams and my school Senate would be sitting on 21/05/2019 which means I will be 30 years of age by that time. Did I have the chance of being mobilised? please is it possible during revalidation to choose states of placement again? good day, am an international student completed my BSC 2016 and i wish to service my father”s land. please how do i go about it ? Good day. Please when will registration and mobilization for may/ June batch commence, and how can I register?. Please is waec certificate part of the compulsory documents needed for clearance in camp. Please , my name came out on the senate list in march but I didn’t register for nysc. Please should I do remobilization since I didn’t register? Because nysc remobilisation has started. Pls how can I do mobilization in school? I don’t understand it, what are steps?